Hello bunnies! first of all: Happy Valentine's Day! 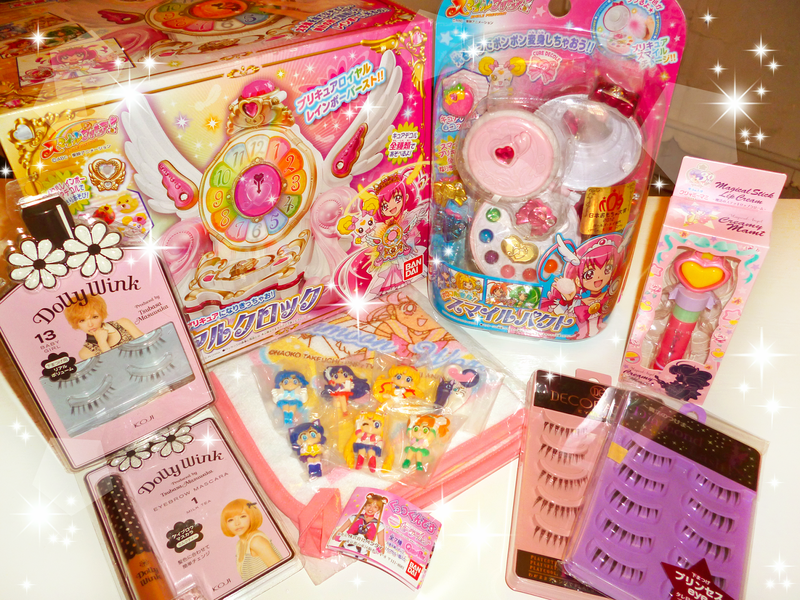 It is the day where everything is pink and cute. This day, my boyfriend surprised me with several gifts! and everything is super nice! I love everything ~ he always surprises me with this kind of things. Esto es todo lo que me regalo! mas que San Valentin, parecia mi cumpleaños haha. 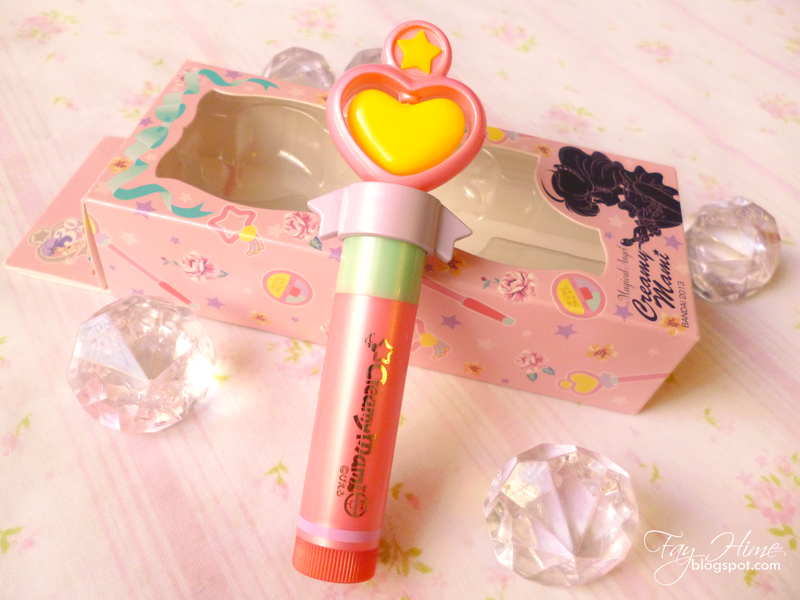 Es este hermoso labial de Creamy Mami, salio en premium bandai como mercancia por su aniversario. This Super gift from my boyfriend and something that i wanted for a long time, but since it was limited edition it was hard to find ~ But now is finally mine! 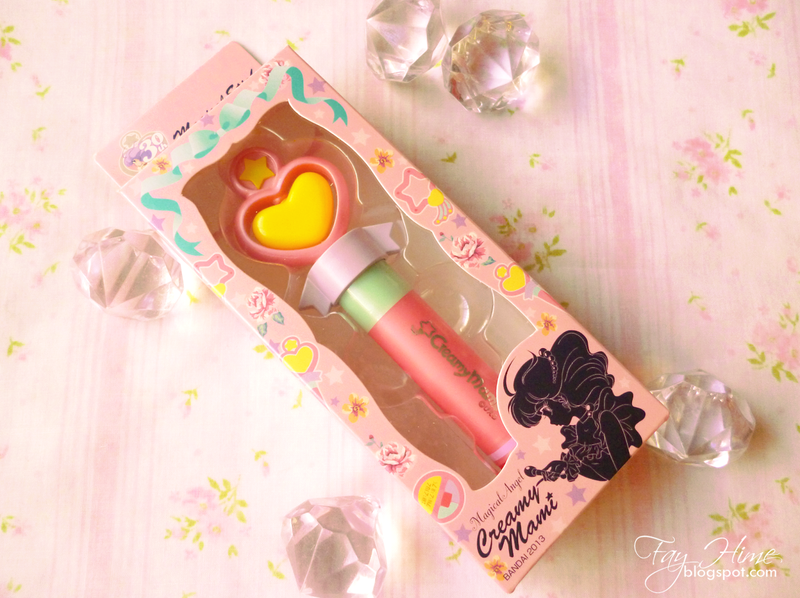 The lipstick is shaped as the magic wand that Creamy Mami use. Smile Precure es mi serie favorita de toda la saga de Pretty Cure. Mi personaje favorito es Miyuki / Cure Happy. 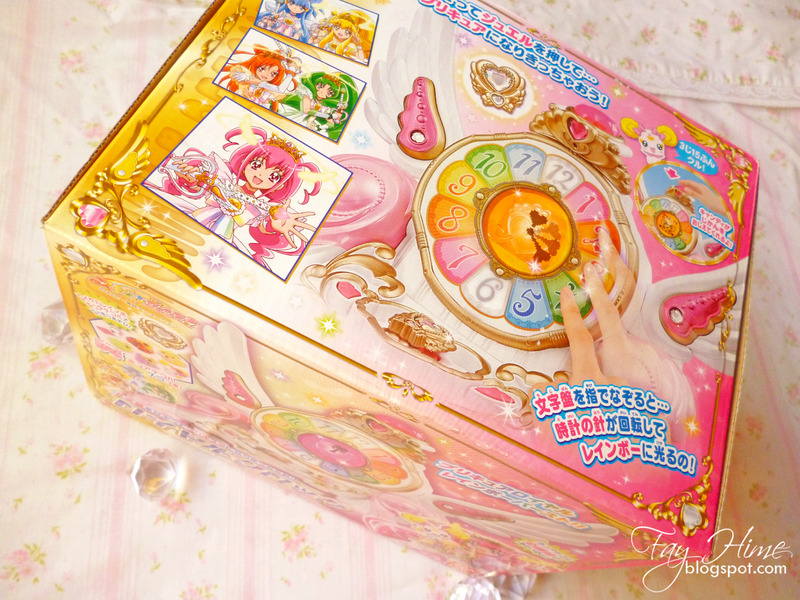 El "Smile Pact" es el accesorio que utilizan las Smile Precure para transformarse. Smile Precure is my favorite season of the entire series of Pretty Cure. My favorite character is Miyuki / Cure Happy. 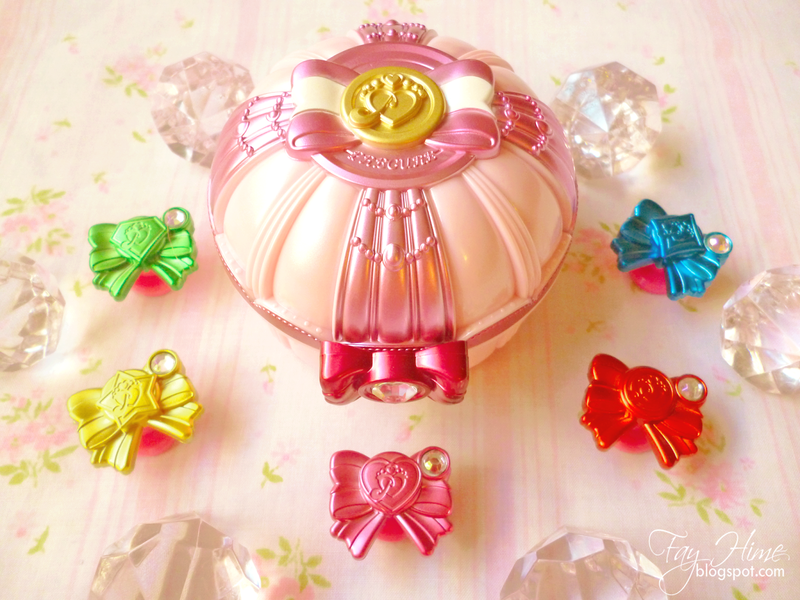 The "Smile Pact" is the accessory that the girls use to transform into the Cures. GO ~ GO GO! LET'S GO HAPPY! Parte del regalo de San Valentin, fue el Smile Pact que salio como mercancía oficial de Smile Precure. El juguete es super lindo! muy bien detallado al igual que el smile pact del anime! Part of the Valentine gift, was the oficial Smile Precure's Smile Pact. The toy is super cute! very well detailed like the smile pact from the anime! Kirakira kagayaku mirai no Hikari! Kyua Happi! 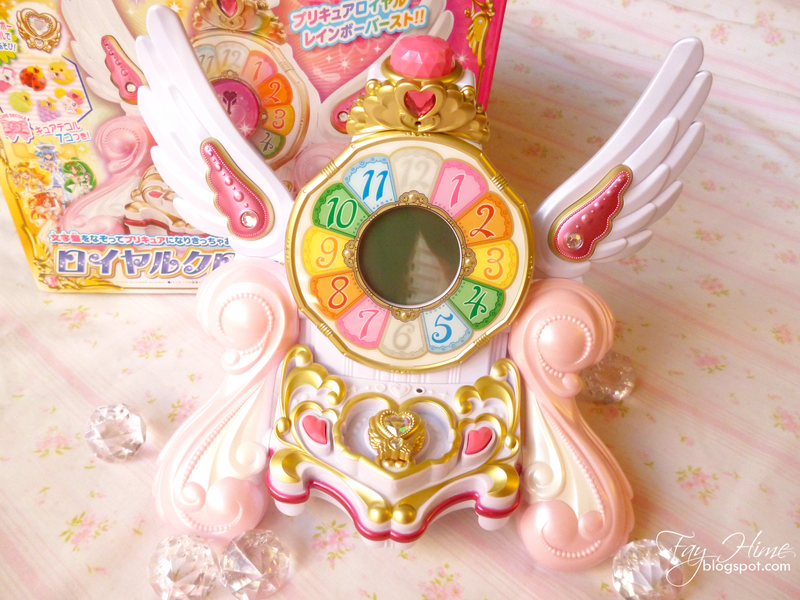 Otro juguete de colección que recibí de parte de mi novio es este llamado Royal Clock. 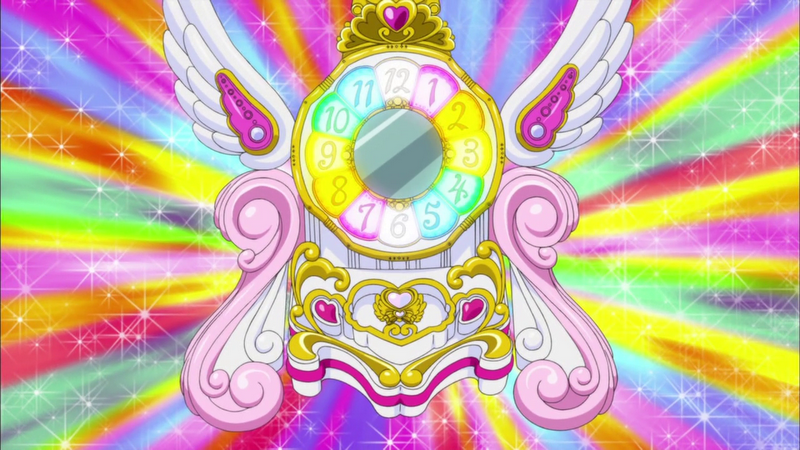 Este también es un objeto importante dentro de Smile Precure, lo suelen utilizar con su "Princess Form" y lo utilizan para hacer un ataque especial. 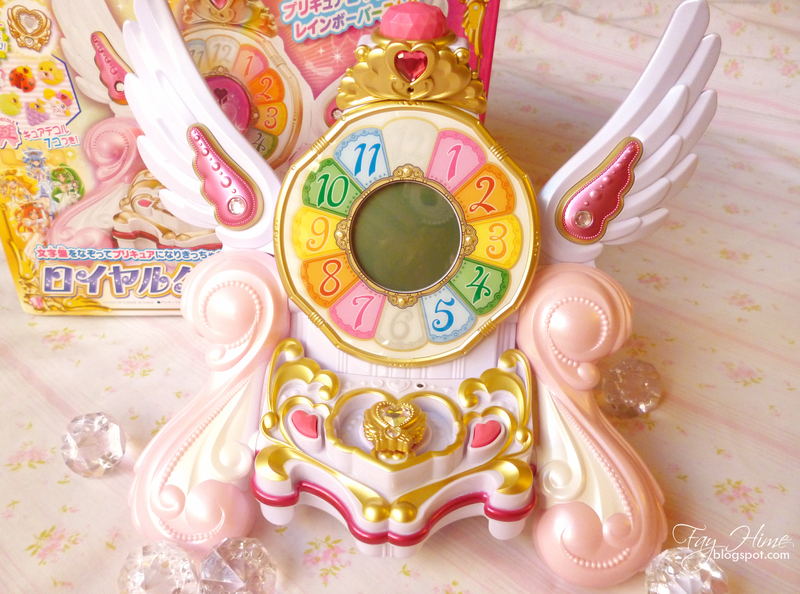 Another toy for collection that I received from my boyfriend is this, is called Royal Clock. 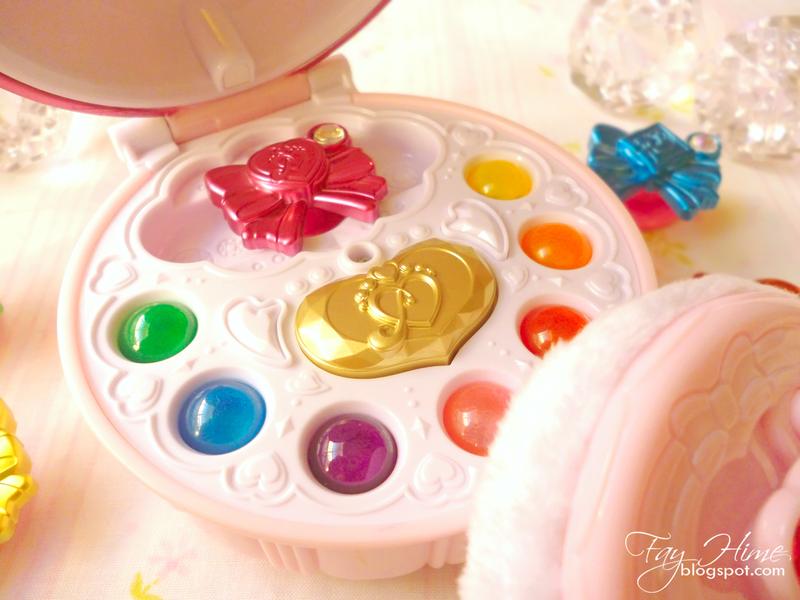 This is also an important object in Smile Precure, often use with their "Princess Form" and use it to do a special attack. Estoy muy contenta y agradecida con mi novio. 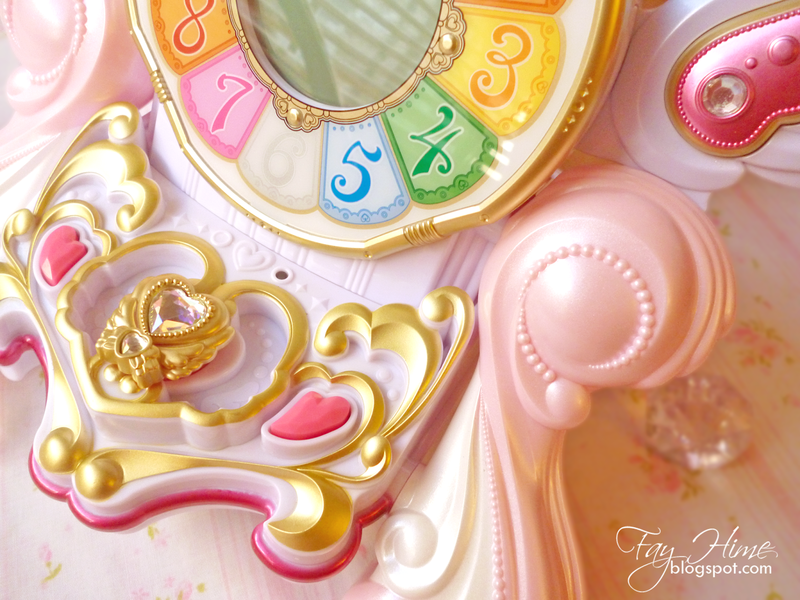 Ya que ahora estos accesorios de Smile Precure, formaran parte de mi colección de RPG Toys de Magical Girls. I am very happy and grateful with my boyfriend. 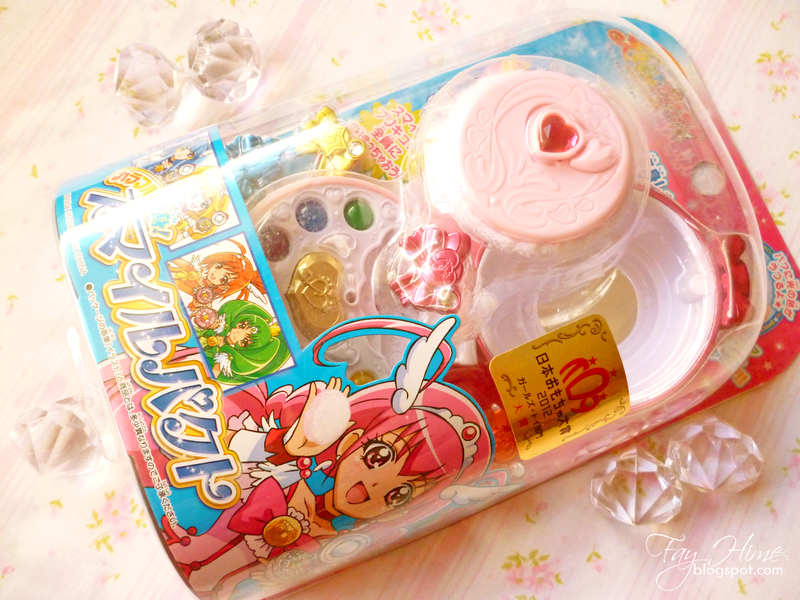 Since now these Smile Precure accessories now , are part of my Magical Girls RPG Toys collection. 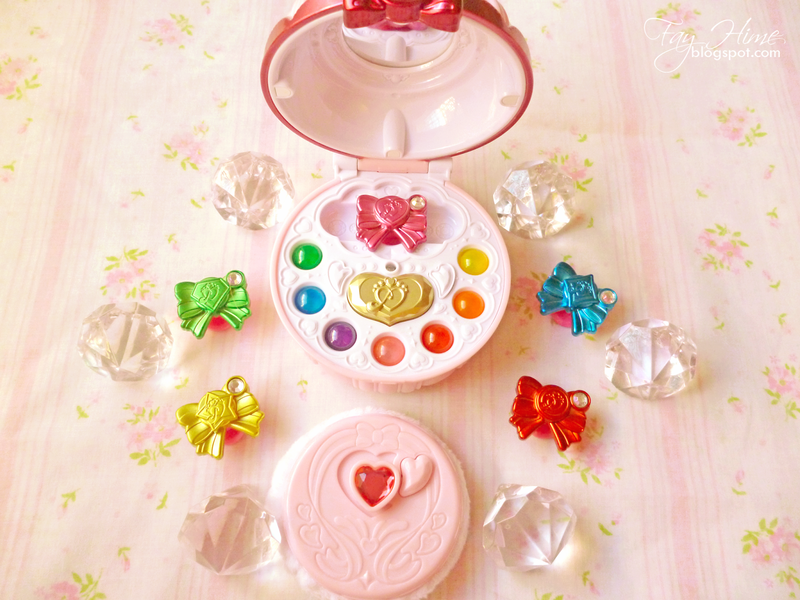 Tambien parte del regalo era este lindo set Gashapon de Sailor Moon, son figuras con imanes. Forman parte de la mercancía que salio por el Live Action, ya hace tiempo. 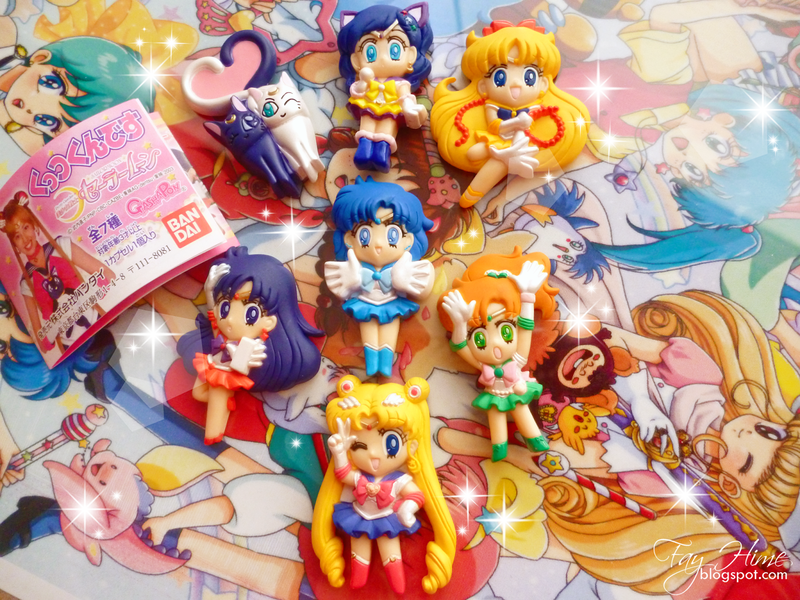 Also part of the gift was this cute Sailor Moon Gashapon Set, this are figures with magnets. They are part of the goodies that made for the Live Action, long ago. Son perfectos para mi mini refrigerador! They are perfect for my mini fridge! 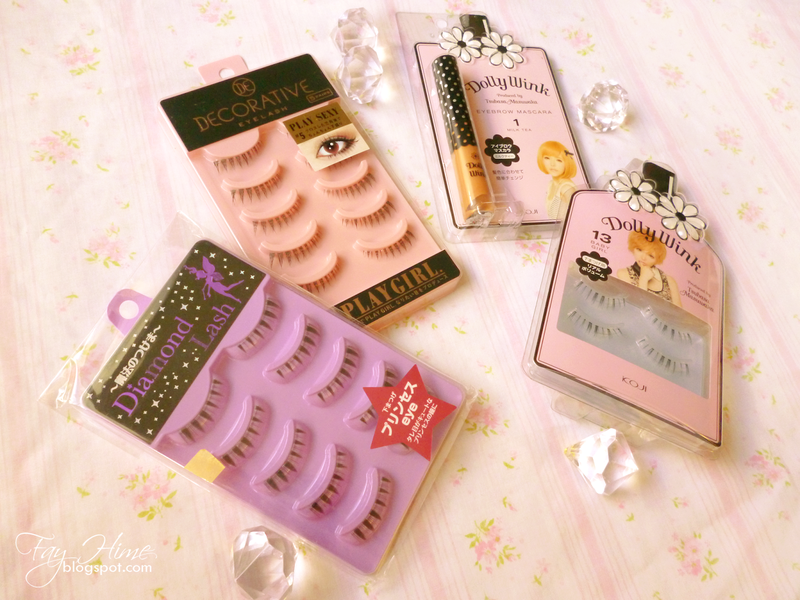 And to finish with gifts, these eyelashes: Diamond Lash, Decorative Eyelash, Dolly wink. All are lower lashes. Muchisimas gracias por leer la entrada!